So I've been away for a couple of weeks and in that time I've received a few books and come back to some books. I've been very good and only actually bought one physical book, although the last portion of this haul is an audio book spree! 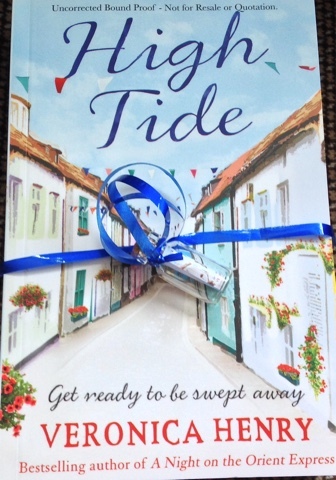 Firstly I received a copy of High Tide by Veronica Henry for review from Orion. This came with a very cute message in a bottle. My mum is. Very big Veronica Henry fan and she she snaffled this and has actually already read it as soon as it dropped through the letterbox so I'll be posting her review very soon! 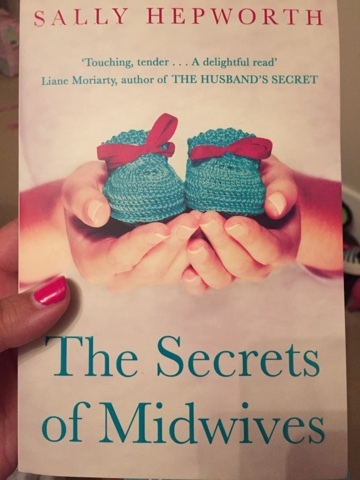 Orion also sent me The Secrets of Midwives by Sally Hepworth. I'm going to save this book for when I'm in the mood for a good cry because it looks like it's going to be a weepy. This is out later this month! 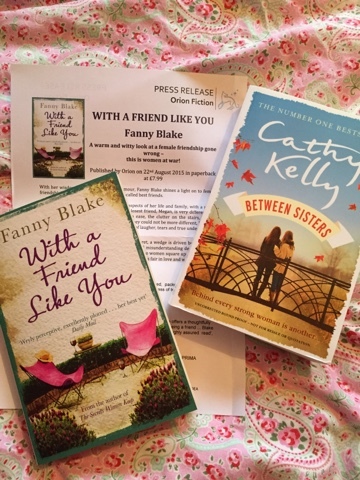 Orion also sent me With a Friend Like you by fanny Blake and Between Sisters by Cathy Kelly. I've actually not read nothing by these authors but both sound intriguing so I'm definitely going to put them in my holiday book bag for the next couple of weeks! 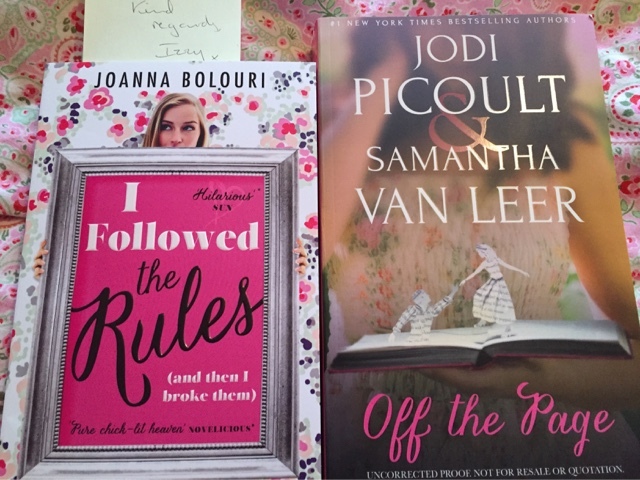 The lovely Isabelle Broom tweeted a stack of books that she was giving away the other day and very very kindly send me Off The Page by Jodi Picoult and Samatha Van leer. I've heard really good things about so that so looking forward to some Fairytale escapism there and I followed the Rules by Joanna Bolouri. I loved The List by this author, one of my favourites of last year and so I can't wait to get stuck into this! Very excitingly I also came home to A Parcel for Anna Browne by Miranda Dickinson. 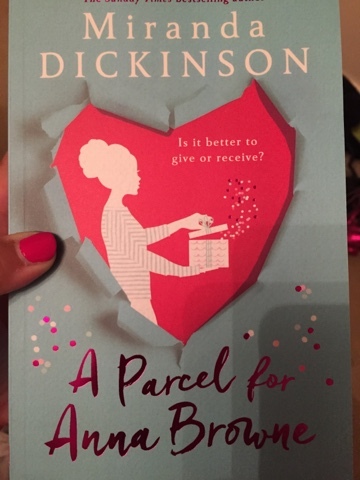 This is Miranda's latest novel which I have been so so excited about reading for a very long time and I am literally going to pick it up as soon a a I post this! 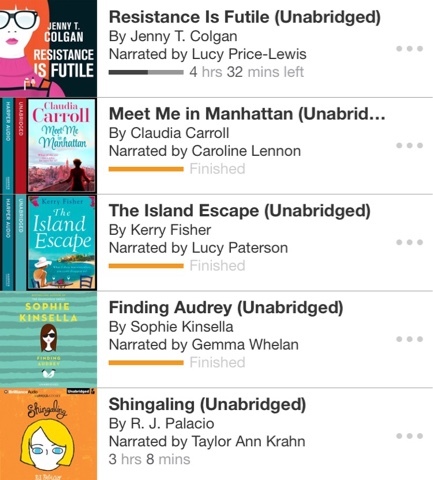 And finally, my audiobooks, this is a screen shot from my audible app which shows you that I have been busy listening to the audiobooks but also, that I have been busy buying them! I bought (and loved) Meet Me in Manhattan by Claudia Carroll, The Island Escape by Kerry Fisher and Finding Audrey by Sophie Kinsella. I am currently listening to Resistance is Futile by Jenny T Colgan, very different from what I was expecting but hope to finish this this week and will post my review soon. And finally, Shingaling by RJ Palacio. I bought the ebook of this Wonder spin off but decided to go for the audiobook too since I am spending a lot of the time in the car or the gym this summer! 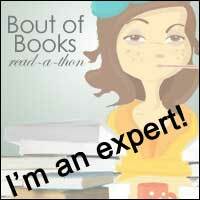 So there is my fabulous book haul, how delicious are all of these books? 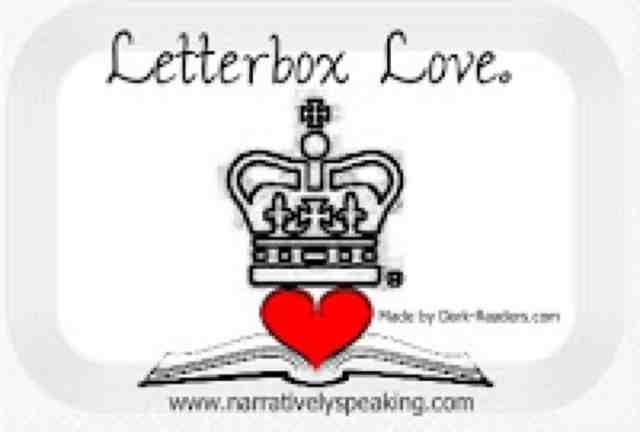 I am one lucky blogger. Thank you to the publishers for sending the books, thanks to Isabelle and thanks to my boyfriend who will now have to pay for us to eat since I spent all my remaining cash on audiobooks!